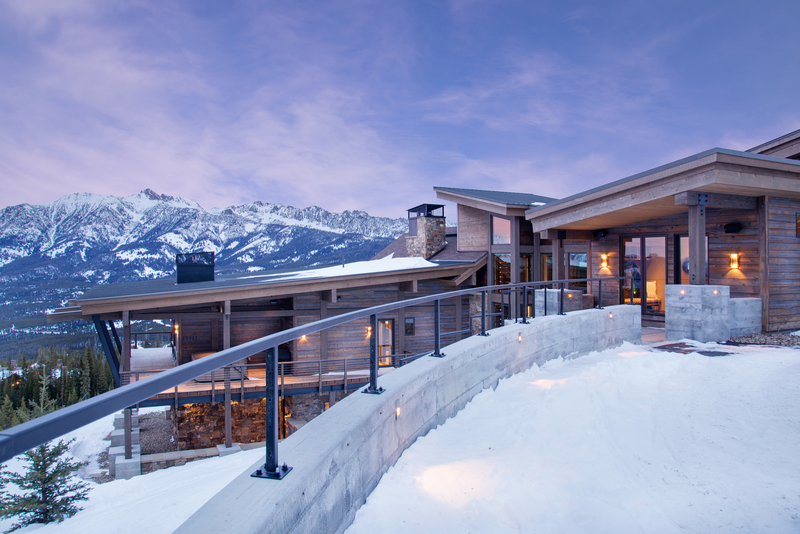 This luxury mountain contemporary home boasts heavenly views and craftsmanship as magnificent as the peak upon which it sits. 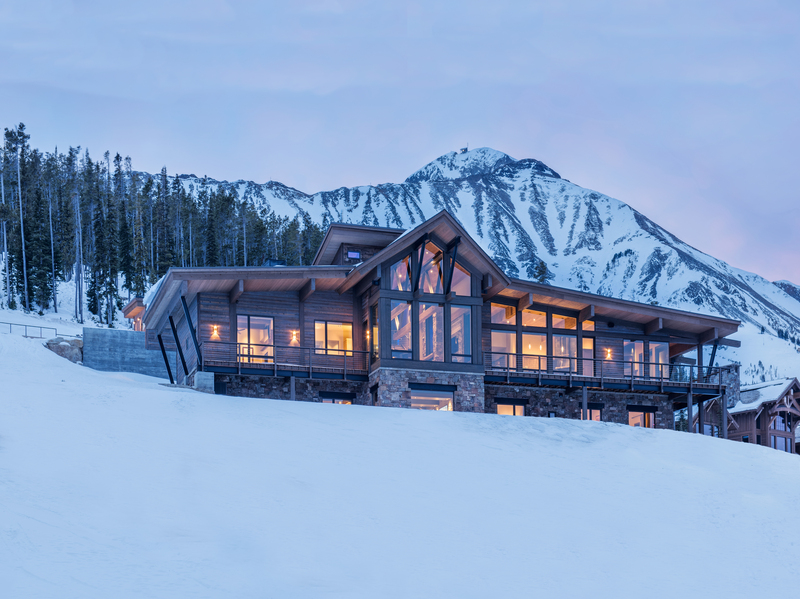 Set high above the hustle and bustle of one of the country’s finest ski towns, this luxury mountain contemporary home boasts heavenly views and craftsmanship as magnificent as the peak upon which it sits. 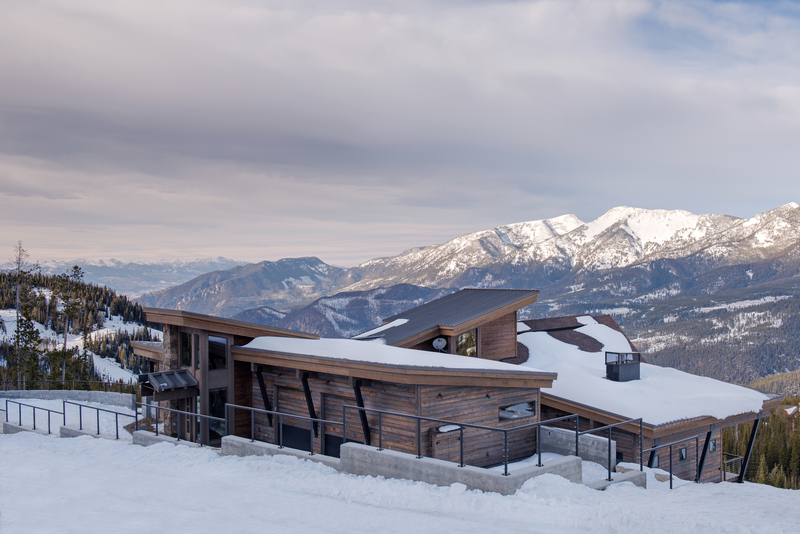 From the very first glance, attention to detail and design is apparent. 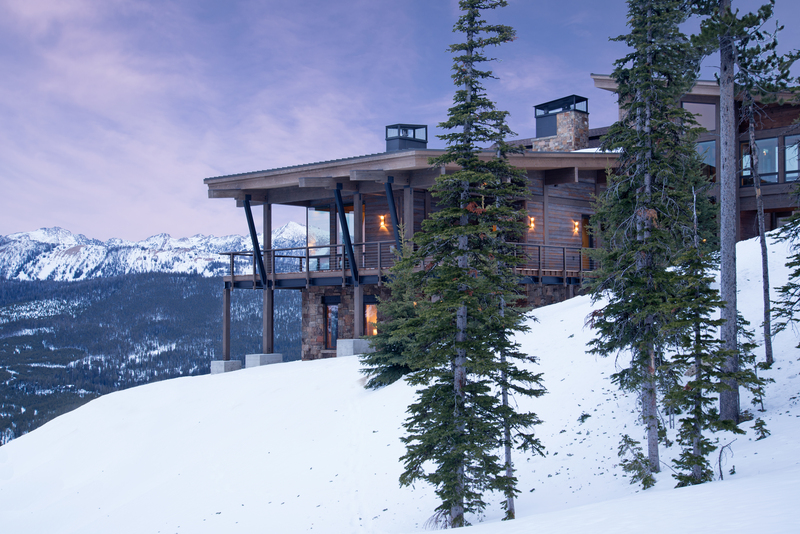 The linear stretch of iron-framed fencing atop a concrete wall shapes the property without obstructing the awe-inspiring panorama. 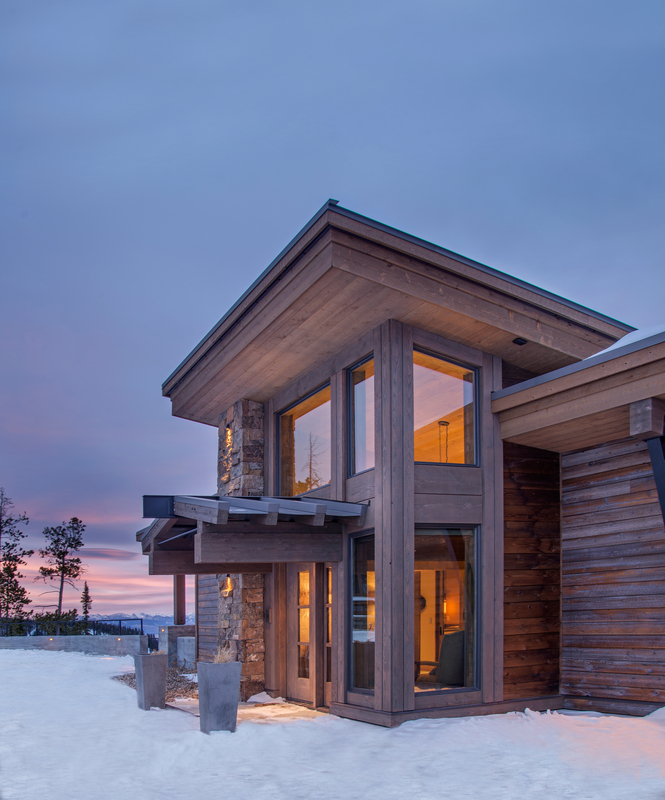 Rich stain and distressing ages each panel of the rustic wood siding, a modern facade appearing as though it has withstood time and the elements. 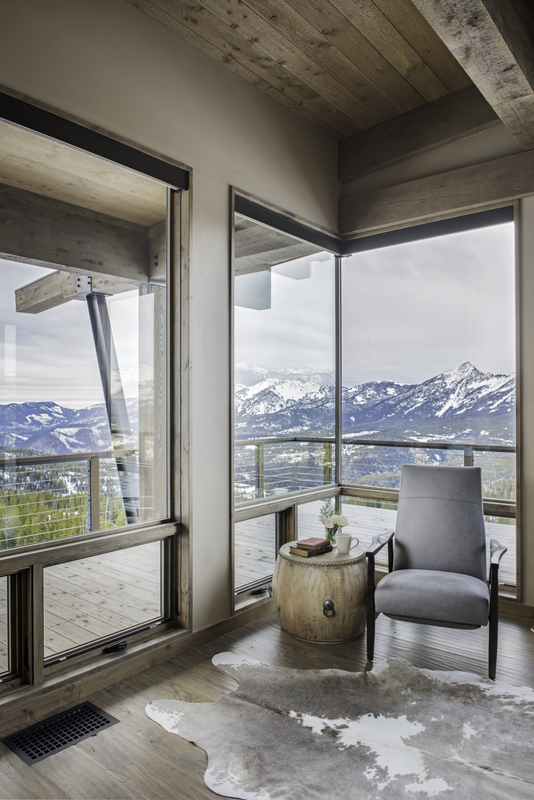 Upon entering the home, one’s focus is immediately drawn to the elevator constructed of glass and metal cagework—a one-of-a-kind component that adds character and quality to an impeccable floor plan. 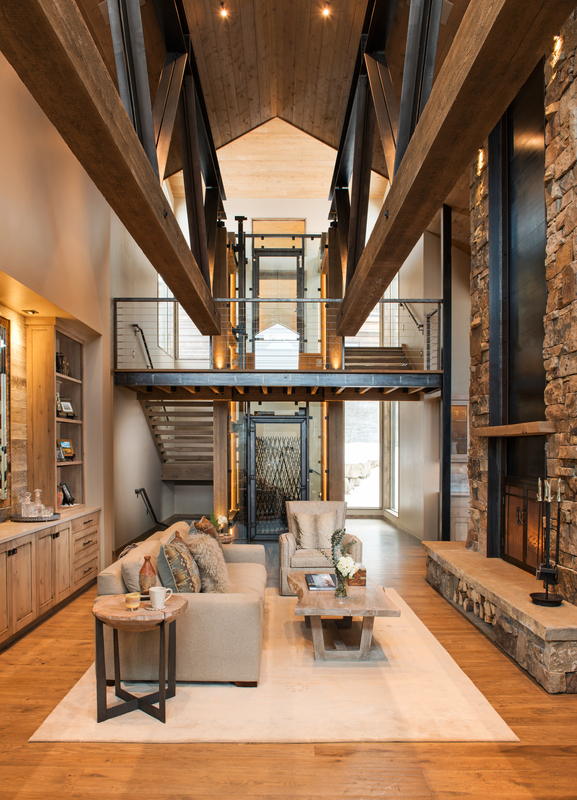 Substantial wood beams and geometric wrought iron framework prominently bridge the great room in an impressive architectural model that extends beyond the exterior wall and doubles as supporting trusses outside. 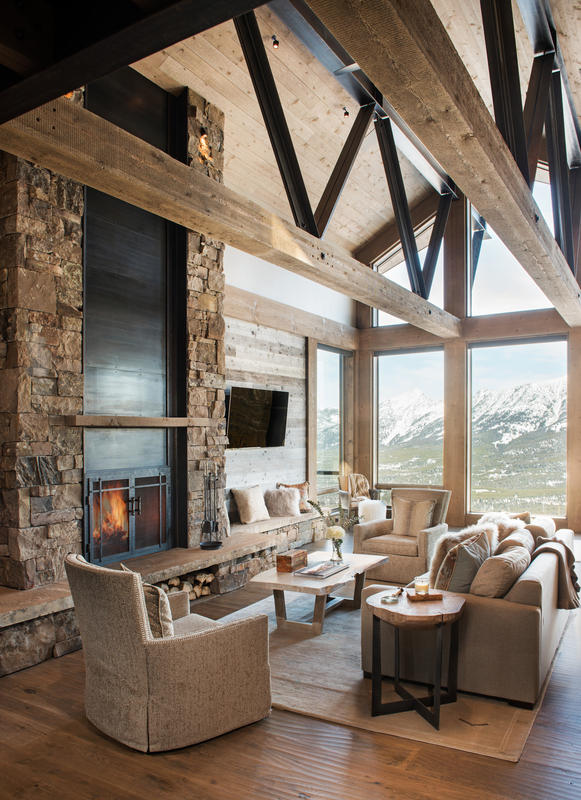 This feature pairs nicely with the floor-to-ceiling stonework and wood paneling that accentuates the wood-burning fireplace. The hearth displays a single slab of stone resting on similar masonry and houses a convenient built-in cubby for log storage. 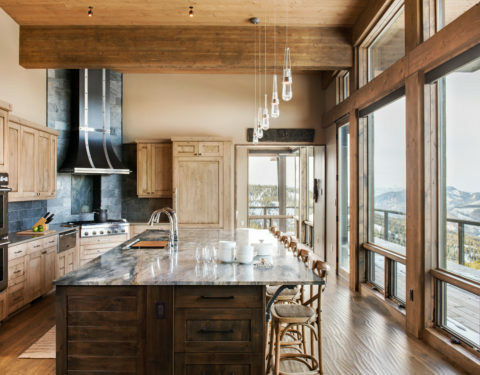 The kitchen maximizes convenience and function through generous storage and cooking spaces, and the expansive island offers gourmet preparation space or an eat-in kitchen element. 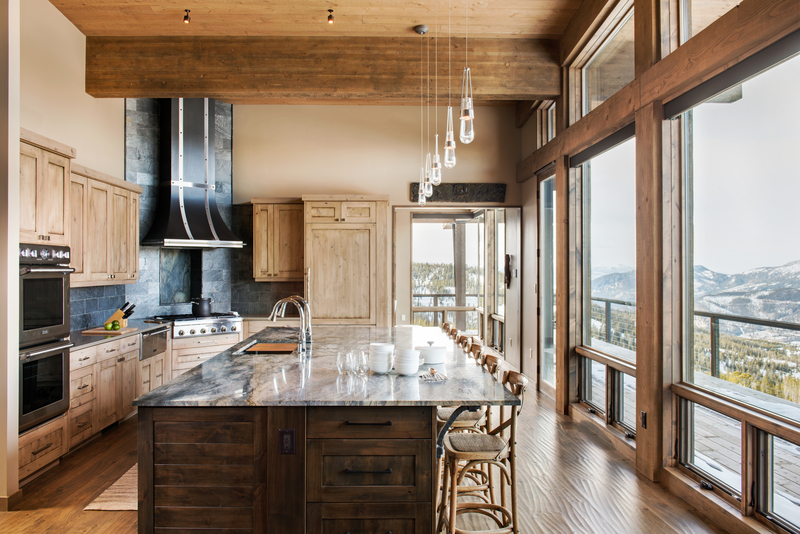 Light and dark tones of the granite countertops weave with the surrounding textures of stone, steel, and timber to create a transitional tapestry. 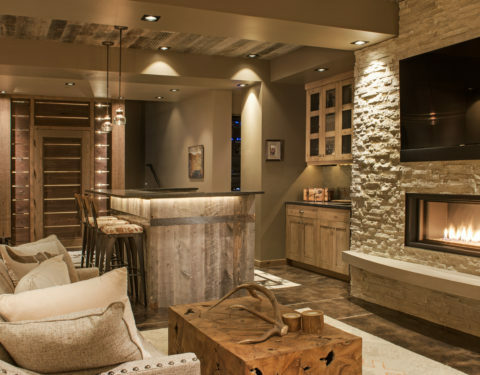 In the lower-level, fresh hues combine with subtle rustic finishes, providing tranquil ambiance for recreation and relief. 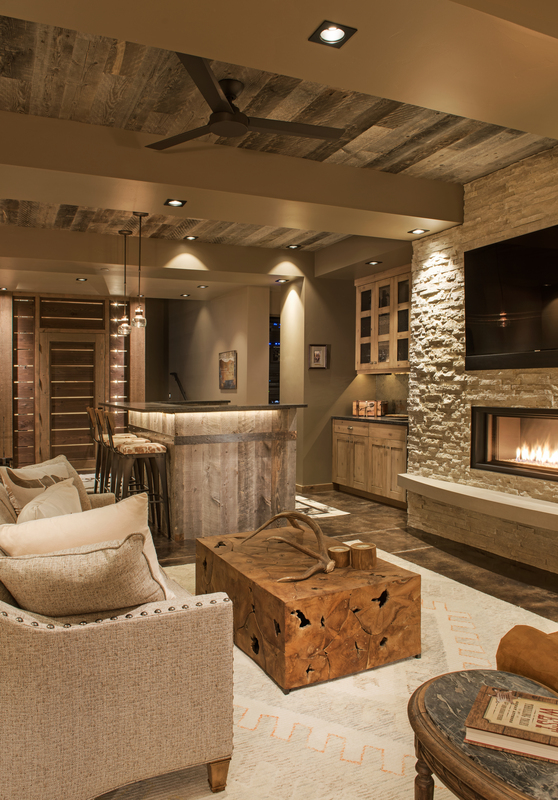 In a mix of design schemes, brooding browns in the large-print floor tile match varied patinas in the reclaimed wood ceiling and bar— earthy elements that are frosted with a white-washed brick wall that holds a gas fireplace insert. 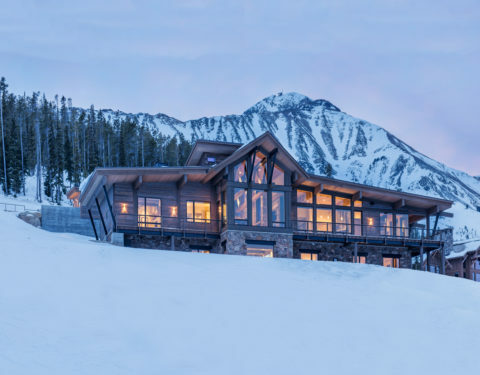 When owners really want to get away from it all—and at the same time have it all—they’ll gladly escape to their custom home in Big Sky, Montana.